Last week, we suggested that you Start Small. Now that you have selected a place to start, we suggest that you empty the contents from the space, and begin to group them into categories. In other words, place like things together. 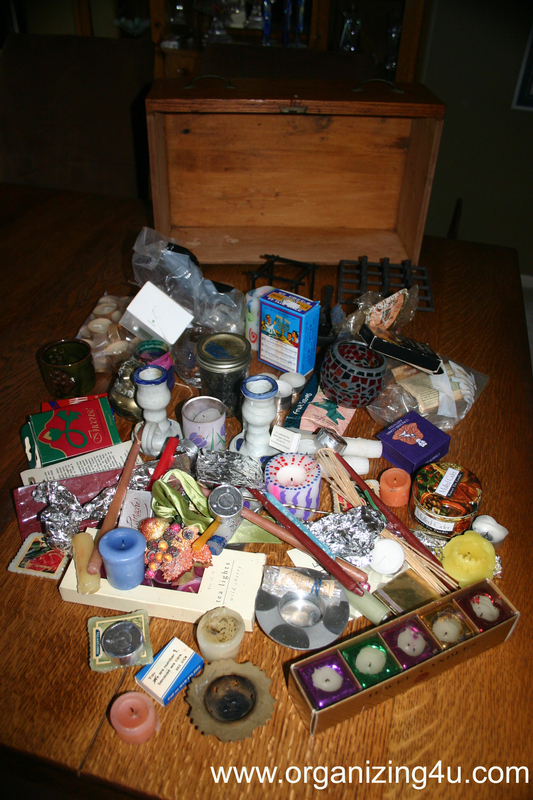 Identifying Categories we find various types of candles, candle holders, incense, potpourri and a few miscellaneous items. Grouping the items into various categories will lead you to decide what you need to keep in a particular area. If you are sorting through papers on your desk, then some typical examples of categories would be 'bills to pay', 'paid bills', and 'tax information'. Perhaps you need to have some action items close at hand for easy reference. These can be sorted by 'urgent', 'RSVPs', 'to read', and/or groupings of projects. While working in your clothes closet, think about the categories that make sense to you when you are deciding what to wear. You may wish to group together all shirts or blouses, pants, and work clothes vs casual wear. Many people like to group by colors. If you have room, sort the clothes by season and the off season items can be stored in another locale. We always say that becoming more organized is NOT about getting rid of things, but being able to FIND your things more easily the next time you need them. Grouping like items together, is a good first step to finding what you need at a moment's notice. 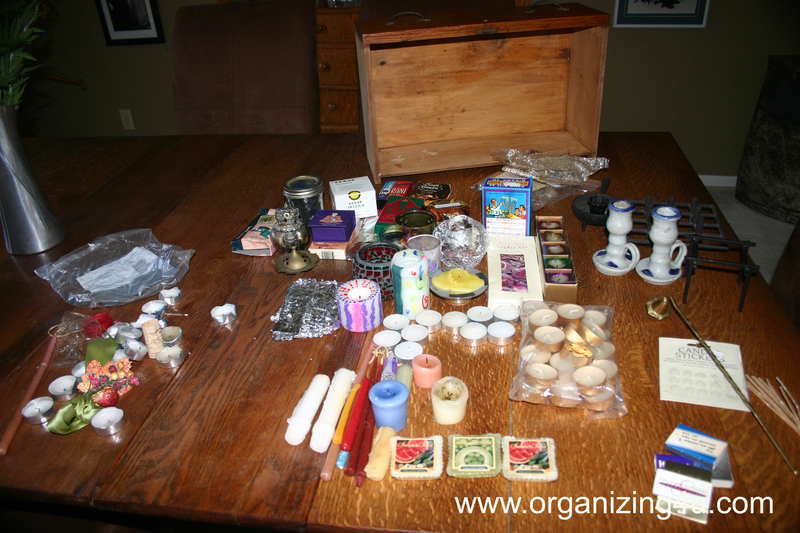 What interesting items did you find in the area you chose to organize?